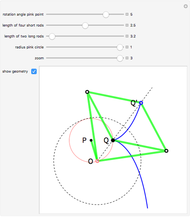 This linkage is an application of Peaucellier's inversor. 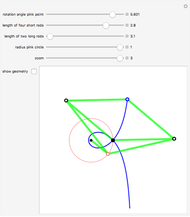 Varying the radius of the rods gives rise to a family of cissoids with a bump, a cusp, and a loop. 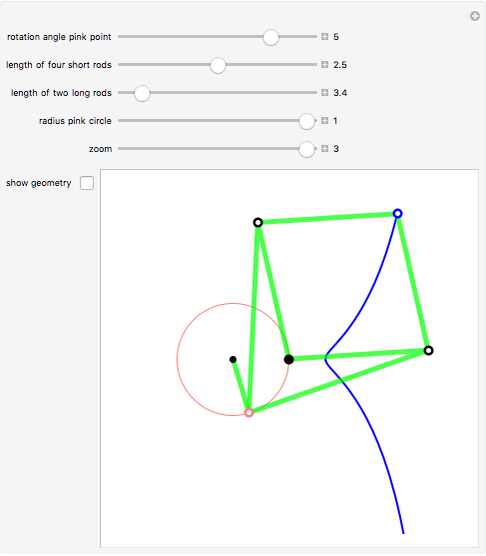 Click on "show geometry". The points P and Q are fixed points nailed to the board. 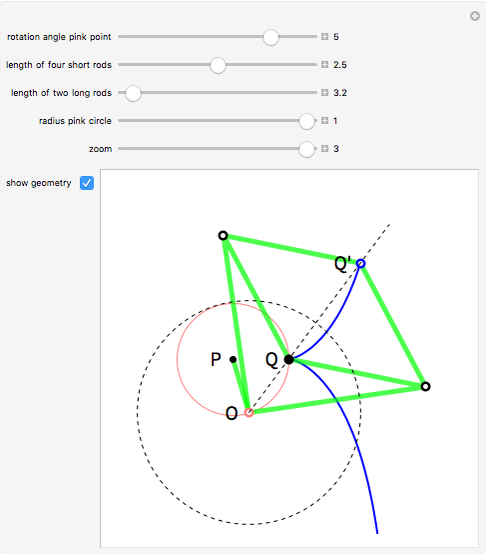 Point O rotates around P. Point Q' is the inverse of point Q in the dashed inversion circle centered at O. A pencil anchored in Q' draws the cissoid. The radius of the dotted circle is , with the length of the four shorter rods, the length of the two long rods. In 180 B.C. 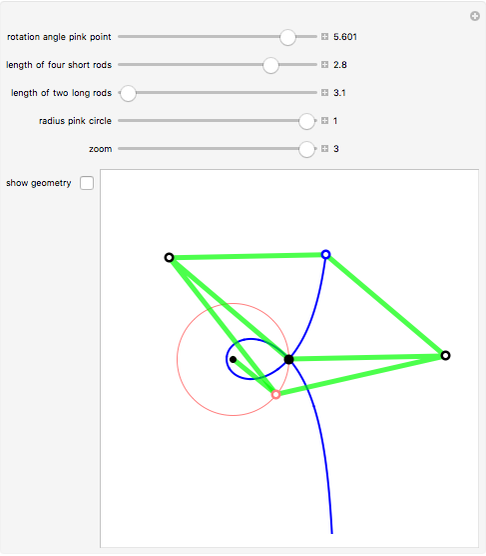 Diocles solved the Delian problem of doubling the volume of a cube with his cissoid. The linkage was elaborated on in 1869 by J. C. Sturm after Peaucellier made his inversor public in 1864. Note that Diocles could of course have built this linkage (why not? 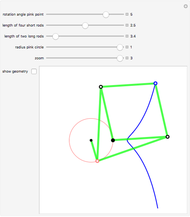 ), which wonderfully explains the geometry of his curve. Claude Fabre "Linkage for the Cissoid"